Though the sun may have set in your part of the world, we are still officially on the third day of the Dog Days of Summer. I may not be posting promptly, but I am meeting the deadline. I think that means I’ve earned a bone. He burst through the door creating a ruckus. FLAP, FLAP, FLAP, FLAP, the doggie door flapped loudly. “I am sick of this!” He barked. He walked in circle four times and sat down. I did a bit of research for this post. No, not the part about Lassie. I learned about his real identity when I was a kid. I was trying to think of a common female dog name, so I Google’d it. Turns out there is a website for “Top Female Puppy Names“. Perhaps because it is the end of the day or perhaps because I am easily amused, but I think it is funny there is a website for puppy names. You have excellent taste. That was the first line that came to me, and I was bound and determined to make it work. I was going to comment on that same sentence. It’s too perfect!! Have you noticed your dogs, Amy? Mine always circle 4 times. What is it about 4? Do your dogs circle four times, though? Why not 3? Why not 5? I love it. You not only get a bone…you get a t-bone. Well done, you. Glad you’re still up for the challenge. Why not have a list for puppy names? Everything else is out there! 🙂 Poor Pal. I always wondered why they used a male dog? 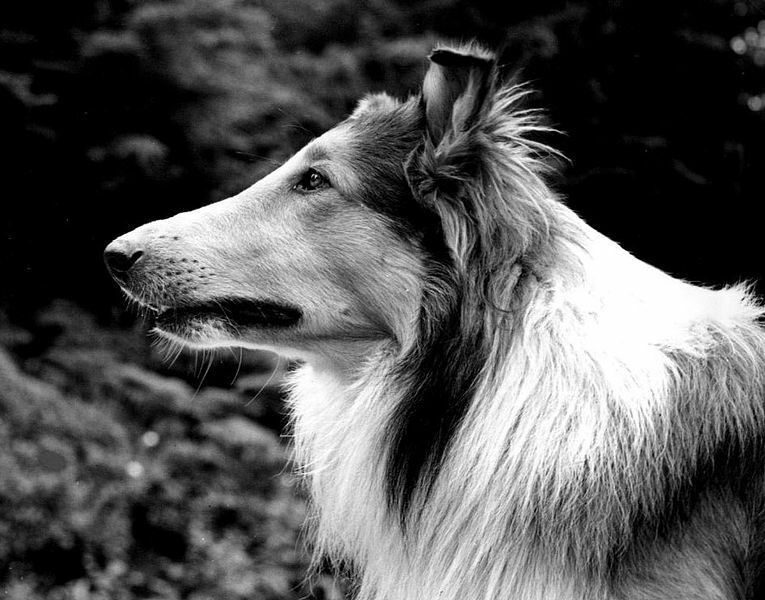 Why couldn’t they have just had “Laddie” instead of “Lassie”? And I have come to learn that there is a website for everything. Ev. Ery. Thing. Exactly. Laddie would have worked just as well. PS My mother had a dog named Laddie. Poor Lassie — it’s hard to leave a job that pays so well sometimes though. What do they call that? The Golden Handcuffs? Pawcuffs? Lassie can borrow the couch at Frasier’;s now that Eddie has moved on. I think even a radio psychiatrist could help.